If you have been wanting to try out Linux then I suggest Ubuntu for a desktop usage. It is a Linux flavor that is based on Debian and is heavily outfitted to ease the transition of desktop users that are coming from Windows. The current version of the Ubuntu is 14.04 which is also an LTS which means that this gets 5 years of updates but don't worry since upgrades can be done through a GUI called "Update Manager" or through a terminal and it is free. Ubuntu's GUI is called Unity. The GUI was made to be familiar for those coming from Windows desktop but still different and quite unique. It has a start like button located at the top left corner, recognizable by the Ubuntu logo and it also has a search function that can be configured to search online. As a desktop user internet browsing is essential. In Ubuntu the default installed internet browser is Firefox but you can also install Google Chrome if you want. Some of you might have heard that installing Flash plugin for Firefox is hard but dont worry since that is a thing of the past. Since 11.04 you can install Flash through Ubuntu Software Center. Office tools like word/document processor, spreadsheet and presentation is provided by OpenOffice. If you are worried how you can read and write Microsoft Office file formats, then don't worry because it can read files created from Microsoft Office and it can also export it back. You might be thinking "How about games? Are there any?". Of course there are also games available and there is quite a lot ranging from free to paid games. You might also be happy to hear that a steam client is also available in Ubuntu. Which was released last year February 2013. Games support for Linux is still up to the developers so there are still games that are available in Windows that you will not be able to find in Linux. Totem is the default installed but you can also install VLC. For a normal usage Totem is already enough but if you need extra features like broadcasting or converting media formats then I suggest installing VLC through the Ubuntu Software Center. If you are a working person then maybe you need an email client. In Ubuntu the default installed is Thunderbird some of you might have already used this one in Windows since this is also available there and is also free. There are still some clients available but for a normal usage you can already do a lot in Thunderbird. If you want speed and a lightweight client then try Sylpheed. It is lighweight but is limited on features. It does not support HTML for reading and writing. 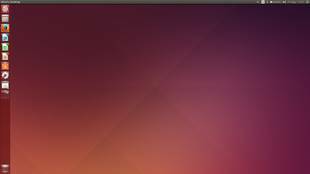 There are a lot of software available in Ubuntu to make you more productive and enjoy the Operating System and the best about it is almost every software you can find is free. So why not try out Ubuntu and maybe you'll love the experience.